Greg has over 35 years of experience in the investment industry as an analyst and advisor. Greg is an avid boater, he cruises the Pacific Northwest coast at every opportunity. He is a founding member of Wild Salmon Forever and is President of the UBC Rugby Alumni Board. He and his wife Janice live in West Vancouver. Their son Jonathan is attending medical school and Jason is a producer with a video game company. Their cat Enzo thinks he runs the household. Greg focuses on delivering wealth management solutions to meet the complex financial needs of clients and their families. With an understanding of the client's circumstances and objectives, a goals-based framework is used to develop an integrated wealth management and investment roadmap aligned with the client's vision. This approach is implemented using a consistent process to ensure that a client's wealth strategy adapts in a timely manner to meet evolving needs. A slowing Chinese economy, Brexit and continued trade tension between U.S. and China are impacting markets. 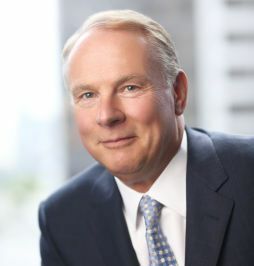 Kim Parlee talks to Bruce Cooper, CIO & CEO at TD Asset Management, about the changes in asset allocation to equities and fixed income stemming from these factors. Longview Wealth Management is a part of TD Wealth Private Investment Advice, a division of TD Waterhouse Canada Inc. which is a subsidiary of The Toronto-Dominion Bank. Mandy manages client service, account maintenance and has worked with Tim and Greg for almost 30 years. She lives in Kitsilano with her husband and two Cairn Terriers – Rebus and Herriot. She regularly travels to England and Scotland with her husband on walking holidays to enjoy the countryside. Marion has been in the investment industry for 20 years. She is responsible for due diligence in support of portfolio management and asset allocation. She also oversees portfolio construction and implementation. Living on the seawall, she can be found enjoying the outdoors, reading, tending to her garden, and spending time with friends over good food and wine. Doris is responsible for maintaining client experience and assisting with account administration. She comes to us with 10 years of experience in the banking industry. She is an avid runner, volleyball player, and enjoys being active outdoors.